Morning Breakfast at Hotel, Free at Leisure for Shopping by your own,transfer to the airpot to go to Guilin ,Pick up at Guilin and overnight Stay at Hotel of Guilin. Breakfast at the hotel. Free at Leisure for Shopping by your own, transfer to the Airport to go to Kunming,Pick up at Kunming and overnight Stay at Hotel of Kunming. Morning Breakfast at hotel, Meet your guide and driver at your hotel in the morning, Drive to Lunan Yi Autonomous County ,Visit Stone Forest------the place used to be a huge ocean during the Paleozoic era--some 270 million years ago.Later, the movement of tectonic plates altered the earths crust, causing the sea to recede and its limestone bottom to appear, thereby forming land. 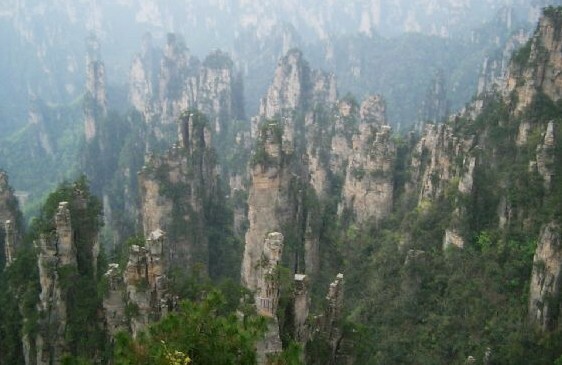 Due to the constant seeping of rain through the cracks in the limestone, some of the stone formation dissolved and the fissures broadened, producing a group of great sculptures of different shapes, all molded by nature. Visit the Green Lake----which is gorgeous, crisscrossed by small arched bridges ,and you will take a leisurely stroll along the Green Lake. Morning Breakfast at hotel, Meet your guide and driver at your hotel in the morning, Drive to Dali,Dali is also called Bai Autonomous Prefecture of Dali,it is about 400km to Kunming.it takes about 4 hours on the way. Visit Bai ethnic minority village-----The Bai People hold the white colour in high esteem and call themselves "Baizi", "Baini" or "Baihuo", which means white people. 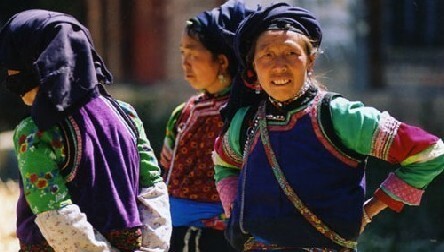 Bai people live mostly in the provinces of Yunnan (Dali area), and in neighboring Guizhou and Hunan provinces.Bai Women in Dali traditionally wear a white coat trimmed with a black or purple collar, blue loose trousers; embroider shoes, silver bracelets and ear rings. 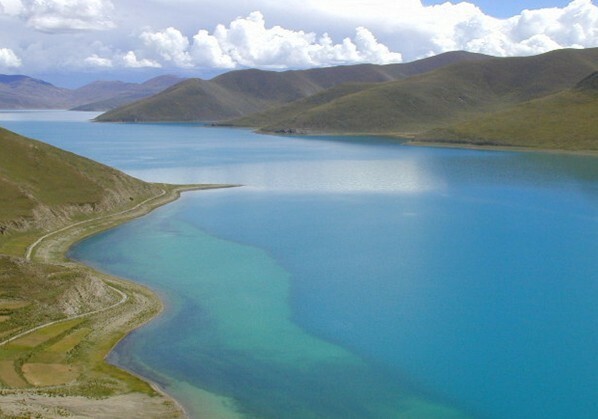 Morning Breakfast at hotel, Meet your guide and driver at your hotel in the morning, Visit Erhai Lake-----the Lake is about 250square kilometer in size,the deepth of the water is 23m,it is situated at 1,972 m above sea level. 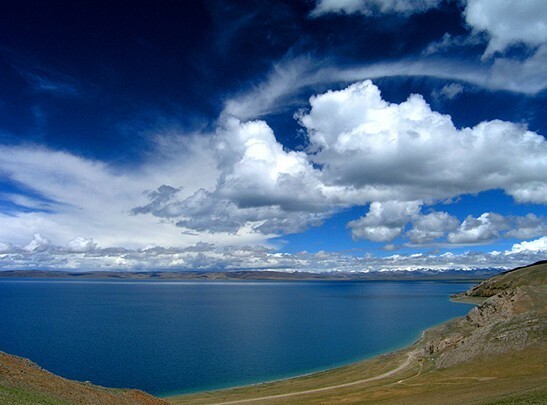 is the second largest highland lake of China. 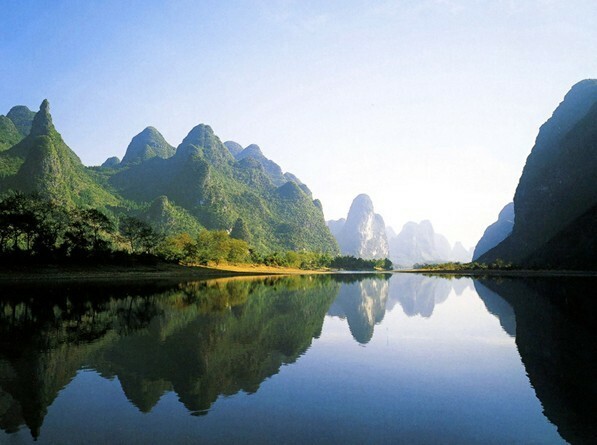 the name er means ear,hai means lake in Chinese,Its name means "Ear-shaped lake", cuz its shape as seen by locals and travellers. 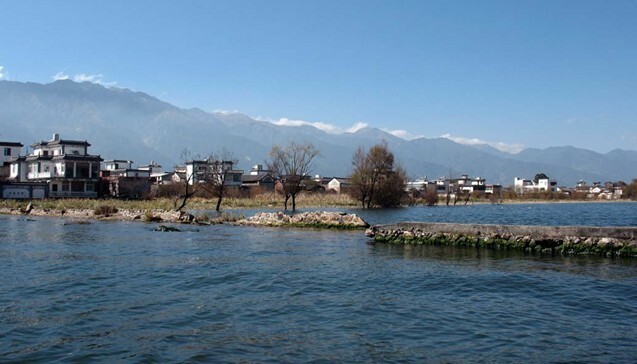 Erhai is an alpine fault lake in , Er Lake was also called Kunming Lake in ancient time. Continue to the Chongshen Monastery----Three Pagodas are in this Monastery,they are the symbol and landmark of Dali, an important humanism sight in the historical, cultural and national star level excellent city for tourism. 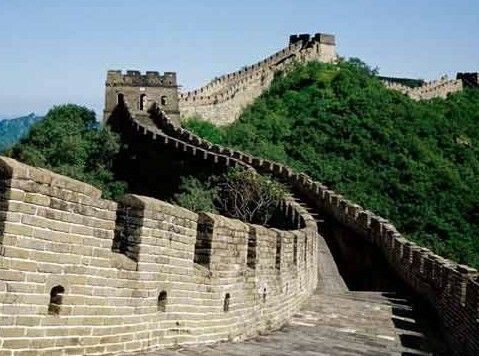 It is also the oldest and grandest buildings in south of China. 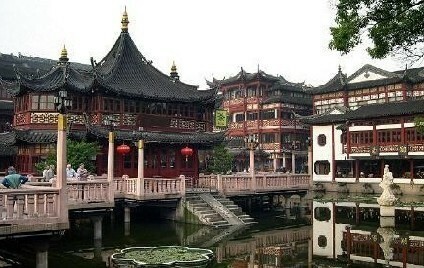 isit the famous Dali Ancient Town,it has about thousand years history. Drop-off service at your hotel and end today's trip. Breakfast at the hotel. Drive 400km back to Kunming ,transfer to Kunming airpot to go to Chengdu,Pick up at Chengdu and overnight Stay at Hotel of Chengdu. Morning:Morning Breakfast at hotel,Meet your guide and driver at your hotel ,Drive to Bifengxia Panda Base.it takes about 1.5 hour on the way. 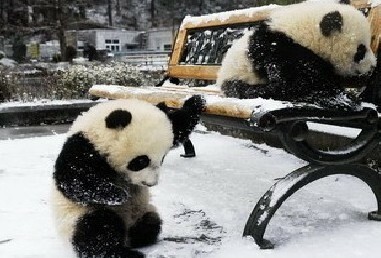 Visit the Bifengxia Panda Base,it is a branch of the China Giant Panda Research and Conservation Center in Wolong.the famous Wolong Panda Base was destroyed by the earthquake in 2008, so the Bifengxia Panda Base is became the best place to see pandas in the natural scenery they inhabit , it has been selected as China's latest giant panda protection base.where you can hug the lovely pandas. Visit Sanxingdui Museum-----it is near an archaeological site that dates to the Neolithic, Shang and Zhou periods. In 1988 this site was declared a National Key Cultural Relics Protected Unit, due to its scope, the wealth of its contents, and the rarity and precious nature of its excavated objects. isit the Wangjiang Tower Park-----it is on the bank of the Jinjiang River,is one of the most famous cultural relics in Chengdu,The name wangjiang means overlooking the river in English.it was built to commemorate Xuetao, a poetess in the Tang Dynasty.Not many women in ancient Chinese history had a high social status, so the story of Xue Tao is even more amazing. 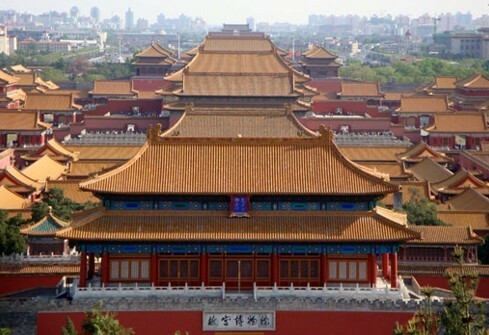 Continue to visit the Tomb of Wangjian-----the tomb was built during the Five Dynasties and Ten States Period (907-960). Wang Jian was the first emperor of the Former Shu Kingdom during the Five Dynasties and Ten States Period. At the beginning of the 10th century, the Tang Dynasty collapsed, and China once again split into a number of short-lived independent dynasties and states. Breakfast at the hotel. Free at Leisure for Shopping by your own, transfer to the Airport to go to Tibet,Pick up at Lhasa and overnight Stay at Hotel of Lhasa. Morning Breakfast at hotel, Meet your guide and driver at your hotel in the morning,visit the Jokhang Temple-----it is built in 647 by Songtsen Gampo and his wive,which is the spiritual center of Tibet. Everyday pilgrims from every corner of Tibet trek a long distance to the temple. Some of them even progress prostrate by body length to the threshold of the temple. Visit the Potola Palace-----This monastery-like palace, reclining against and capping Red Hill, was the religious and political center of old Tibet and the winter palace of Dalai Lamas. The palace is more than 117 meters (384 feet) in height and 360 (1180 feet) in width, occupying a building space of 90 thousand square meters. 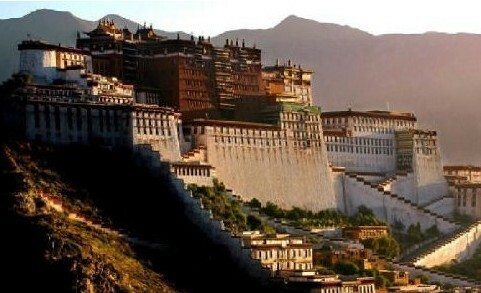 Potala is composed of White Palace and Red Palace. The former is for secular use while the later is for religious,it was built in 641 by Songtsen Gampo. Morning Breakfast at hotel, Meet your guide and driver at your hotel in the morning,driver to Namtso,it takes about 3 hours to get there,On the way you will see Nyenchen Thanglha snow mountain ranges,and also you will pass the Nagela Pass.visit the Namtso Lake,it is the biggest inland lake in tibet,and the tallest salt water lake in the world. Morning Breakfast at hotel, Meet your guide and driver at your hotel . 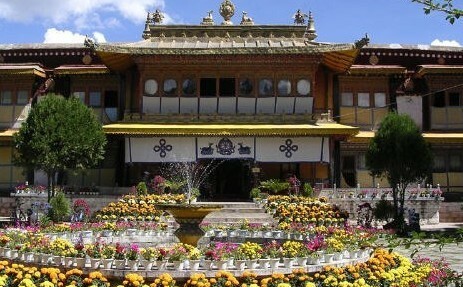 Visit Sera monastery-----where hundreds of golden buddha statue treasured.it was built in the year 1419. 2.Tips or gratitude to guides or drivers. 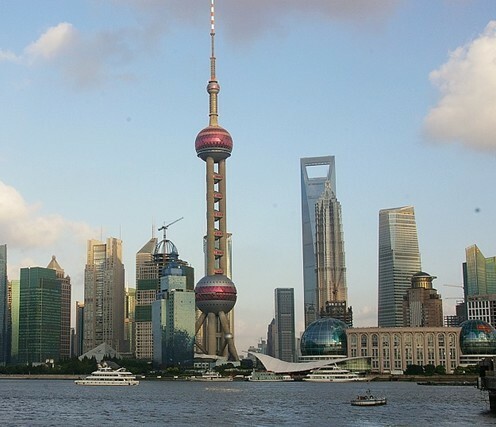 Note:you can change this itinerary to the way you want or to extend this tour to visit other Chinese cities,please do contact us, we will be happy to arrange it for you!